Remove more imperfections with the more powerful 7424XP! The Porter Cable 7424XP Dual Action Polisher is a beefed up, more powerful version of our most popular dual action polisher. Remove more paint imperfections at a faster rate! The Porter Cable 7424XP Dual Action Polisher has all the user-friendly features of the original Porter Cable 7424, but a 4.5 amp motor enables enhanced performance and durability. 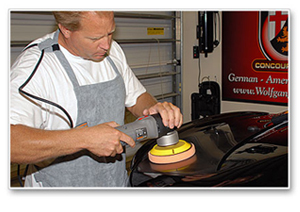 Achieve smooth, swirl-free results with the safe, reliable Porter Cable 7424XP Dual Action Polisher. Net weight: 5 3/4 lbs. Manufacturer Limited 3 year warranty with 1 year free service. Porter Cable makes some of the safest, most user-friendly buffers on the market. The random orbital action (also called dual action) generates very little heat while it polishes automotive paint. Therefore, a random orbital polisher will not burn the paint (burning is much more likely with a rotary or circular polisher). The random orbital motion combined with a lightweight body have made the Porter Cable 7424 a favorite among novice and professional detailers. 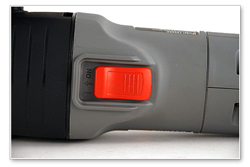 Now you can enjoy the benefits of the Porter Cable with a more powerful motor. Meet the Porter Cable 7424XP Dual Action Polisher. 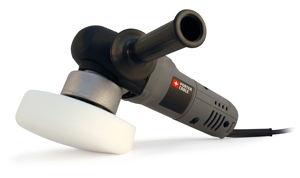 The Porter Cable 7424XP Dual Action Polisher operates from 2,500 OPM to 6,800 OPM. The polisher is capable of working at faster speeds than the original 7424, which enables the 7424XP to remove more paint imperfections. This more aggressive removal allows you to use the Porter Cable 7424XP Dual Action Polisher for tougher detailing jobs and get optimum results. In addition to a stronger motor and enhanced speeds, the Porter Cable 7424XP Dual Action Polisher has an improved switch design for greater durability. The body of the polisher has been redesigned with improved ergonomics to give the operator more comfort and control. The super lightweight polisher is just under 6 pounds. Work for longer periods of time with less fatigue. The Porter Cable 7424XP Dual Action Polisher is easy to use whether you're new to detailing or a seasoned pro. The Porter Cable 7424XP Dual Action Polisher is made with the same commitment to quality as the original 7424. The 7424XP features all ball and roller bearing construction with spiral/bevel gears. The buffer accepts a 5/16-24 spindle thread. The pad diameter is 6 inches. Use the Lake Country Hook & Loop Flexible 5 inch Backing Plate for excellent balance and control with the Porter Cable 7424XP Dual Action Polisher. Lake Country CCS 6.5 inch Foam Pads or Cobra Cross Groove 6.5 inch Foam Pads will give you many pad options to tackle any detailing challenge. 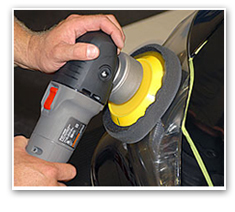 The Edge 2000 System is also compatible with the Porter Cable 7424XP Dual Action Polisher. Use the Edge 2K DA Drive Adapter and 6 inch pads. Remove swirls and other paint imperfections with enhanced power and performance. The Porter Cable 7424XP Dual Action Polisher gives you more removal ability and speed with the reliability and user-friendly design you expect from Porter Cable. Marine 31 Captain�s Boat Care Kit Free Bonus! Porter Cable 7424 XP with FREE Bonus Products!